To enhance your con experience the powers that be at Stan Lee's Comikaze have posted some key survival tips. 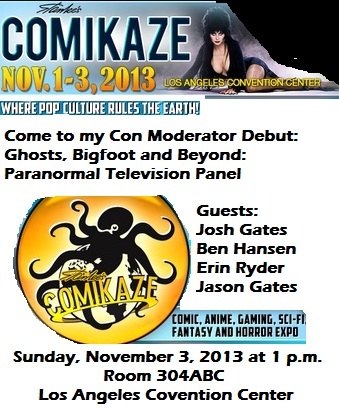 Coming to Comikaze 2013? 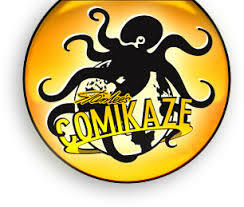 Wondering what it’s going to be like, and what’s the best way to survive Stan Lee’s Comikaze Expo? Here are some rules and tips that will greatly enhance your Comikaze experience and make your weekend that much better! Pick up your badge early! We will open badge redemption this year at 1:00pm on Thursday, Oct 31st and 11:00am on Friday, November 1st. If you cannot make your badge pick up a day ahead, plan on arriving to the convention as early as possible to avoid any lines. We are working hard to make sure we can process tickets as fast as possible, but you can never go wrong with arriving early! Have your ticket printed out. It makes scanning super easy, and the folks behind you in line will love you eternally. Don't hassle with parking…take the subway! The train stop is one block from the Convention Center! Carpool with friends! It's good for the environment, too. Bring plenty of cash. Many of our vendors take credit cards, but Internet on the floor (and so many bodies) can slow down card processing. So don't miss out on that exclusive -- keep cash handy! (Yes, we have plenty of ATM's at the LACC, but lines can get long). Check out our website to know where all our celebrities will be signing. Plan your day ahead by checking out our panel schedule and floor plan. Pack a lunch, or check out all the other great food options at LA LIVE in addition to the concessions at the LACC. Want to save yourself some commuting hassle? Get a hotel near the LACC! There are tons of parties going on all night…it is Halloween weekend, after all. Get the free program guide or…pick up the exclusive Marc Silvestri Program guide from the merchandise booth. Use #Comikaze13 or #HotTopicComikaze when you tweet for a chance to win cool prizes! Cosplay if you can! We love it when people are dressed up, as do your fellow con attendees. Read our Weapons Policy if you are Cosplaying, to avoid any hassles or disappointment. Check out the Stan Lee Mega Museum and Elvira's Spooky Experience.